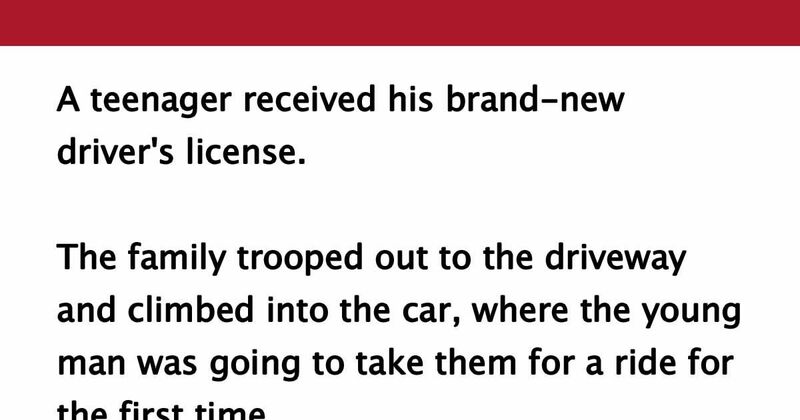 A teenager received his brand-new driver's license. The family trooped out to the driveway and climbed into the car, where the young man was going to take them for a ride for the first time. Dad immediately heads for the back seat, directly behind the newly minted driver. "I'll bet you're back there to get a change of scenery after all those months of sitting in the front passenger seat teaching me how to drive," said the beaming boy to his father. "Nope," came Dad's reply, "I'm gonna sit here and kick the back of your seat as you drive, just like you've been doing to me all these years." Revenge is a dish best served cold! Like and share this joke on Facebook if you can relate!